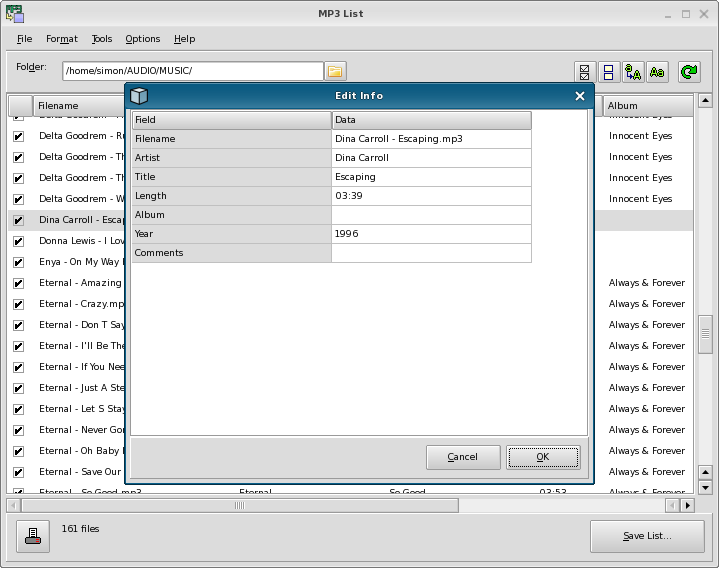 This version of MP3 List is no longer available - check out our latest version. 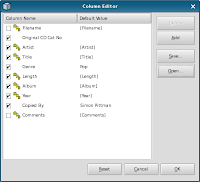 MP3 List helps you to easily save a list of MP3 files on your computer or server to a text file or a CSV file (which can be opened in many spreadsheet applications). MP3 List can help save you time, and does not require any additional technical skills to use. 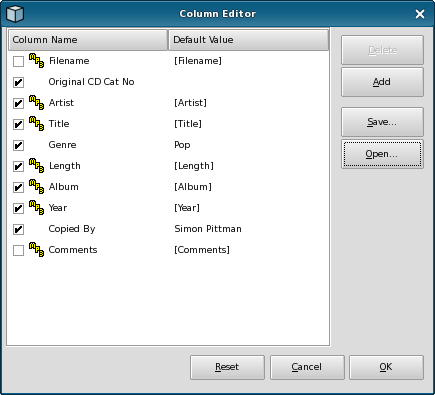 Print the list of files directly from the software. Copy files to another folder. Select the folder containing the files then click the Save List button to create your list! 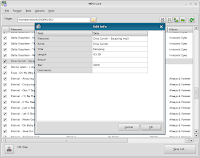 For example you can use the created list to import information into databases, e-mail a list of your music collection to your friends, or help with auditing your list of MP3 files. 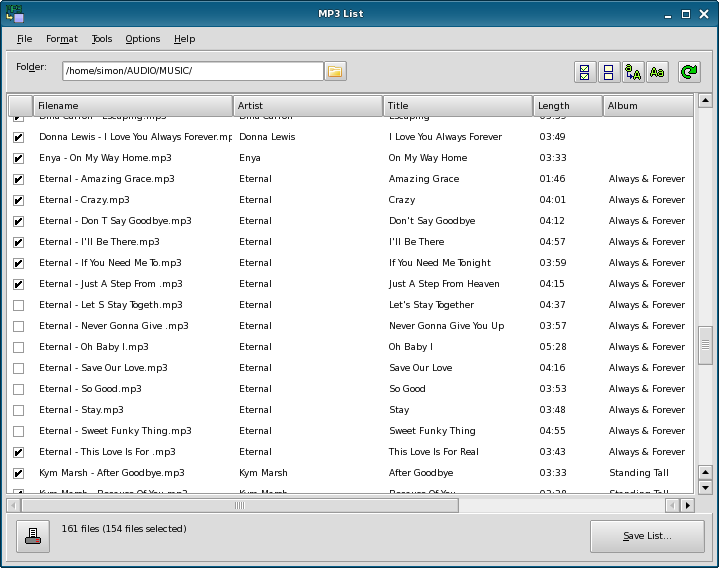 MP3 List is currently available for Windows and Linux. 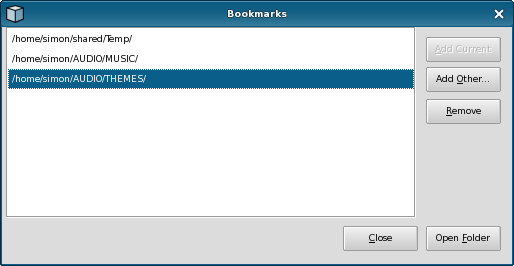 Version 3.2 can bookmark folders you use on a regular basis, reverse currently selected items, find/locate option to find files in your list that match a particular word/phrase, improvements to the design/layout of printed documents, an option to copy selected files to another folder and other minor improvements. 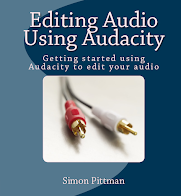 The full Commercial Edition includes 12 months product support and updates.